Finally the wait over the month came to an end today when HMIL the Indian division of Korean car maker Launched its new sedan car Hyundai Xcent aka Grand i10 sedan in Indian car market. The concept of introducing Xcent came in existence after the over whelming response received by hatchback Grand i10 last year, after which within the short span of time company developed this compact sedan and unveiled it during the Indian Auto Expo 2014. 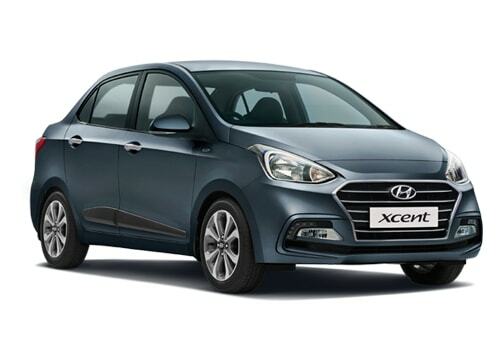 The new Hyundai Xcent has been launched in both petrol and diesel versions followed by three variants in each model namely Hyundai Xcent Base, Hyundai Xcent S, Hyundai Xcent SX, Hyundai Xcent Diesel S, Hyundai Xcent Diesel Base, and Hyundai Xcent Diesel SX. Both variants are offered manual transmission system followed by automatic transmission system in petrol model. The price of base variant in petrol version starts with price tag of Rs. 4.66 lakh (ex-showroom price in New Delhi) while the price of base variant in diesel version starts with price tag of Rs. 5.56 lakh (ex-showroom price in New Delhi) and price of automatic variant in petrol version starting with Rs. 6.29 lakh (ex-showroom price in New Delhi). Designed on the same platform of Grand i10 hatchback, Xcent isalso launched in both petrol and diesel guises carrying the same engine configurations. The petrol variant is equipped with 1.2 litre kappa Dual VTVT petrol engine churning the power of 83 PS @6000 rpm. It is offered in both manual and automatic transmission system, with manual transmission system coated with 5 speed manual gearbox while the automatic variant coated with 4 speed automatic transmission system. On the other side diesel version is equipped with 1.1 litre advanced 2nd generation U2 CRDi diesel engine churning the power of 72 PS@4000 rpm and torque of 18.4kgm @ 1750-2500rpm. It is claimed to deliver an average of 24.4 kmpl, while the petrol engine is designed to deliver an average of 19.1 kmpl. The worth mentioning features offered in the exteriors of Xcent are swept back headlamps along with wrap around tail lamps with chrome inserts, chrome finish hexagonal air dam, front bumper with integrated spoiler design, dual tone rear bumper with newly designed reflectors, raked windshield, diamond cut alloy wheels, stylish door handles, LED high stop lamp and many more. On the interiors front Xcent is blessed with rear AC vents, smart key with push start button, auto folding mirrors, rear parking camera & sensors, 1GB internal memory, leather garnished steering wheel, rear arm rest, leather covered wrapped gear shift knob, large boot space etc. The new Hyundai Xcent will emerge as tough contenders to Honda Amaze, Maruti Swift Dzire, Mahindra Verito and other compact sedans available in Indian car market. To know more about about Hyundai Xcent click here.